Learn how to get started with our software and take the most advantage of your PC. Each tutorial comes with screenshots and step-by-step instructions for your convenience. 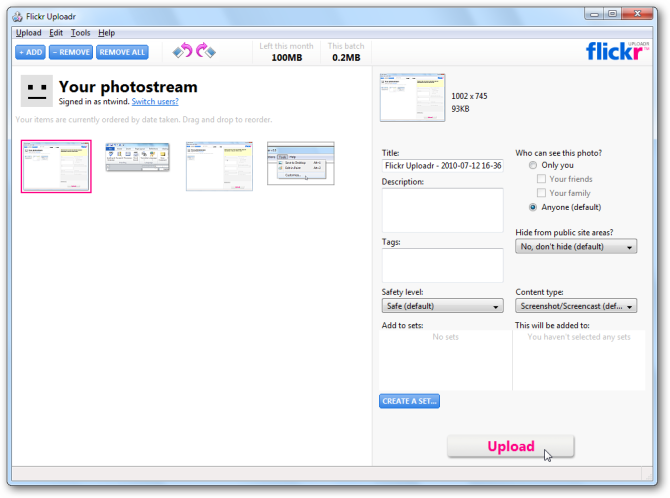 The magic of WinSnap is so powerful that you can even use it to upload your screenshots to Flickr or ImageShack services in the hands-free mode! If you run a blog or write reviews and need to post dozens of pictures per day, you surely will appreciate this handy trick. All you need is to make some initial configuration using the WinSnap Tools menu. Below is the step-by-step instruction for Flickr.